A production heat shoe laminator designed in combination with thermally heated nip rollers, the GBC 5031TS, provides proper heat at higher speeds. It includes many labor-saving features such as edge slitters and job memory recall. Laminates film to 10 mil thick. Use as a stand-alone unit or combine with the 5031 Feeder and 5031 Cutter for maximum productivity. 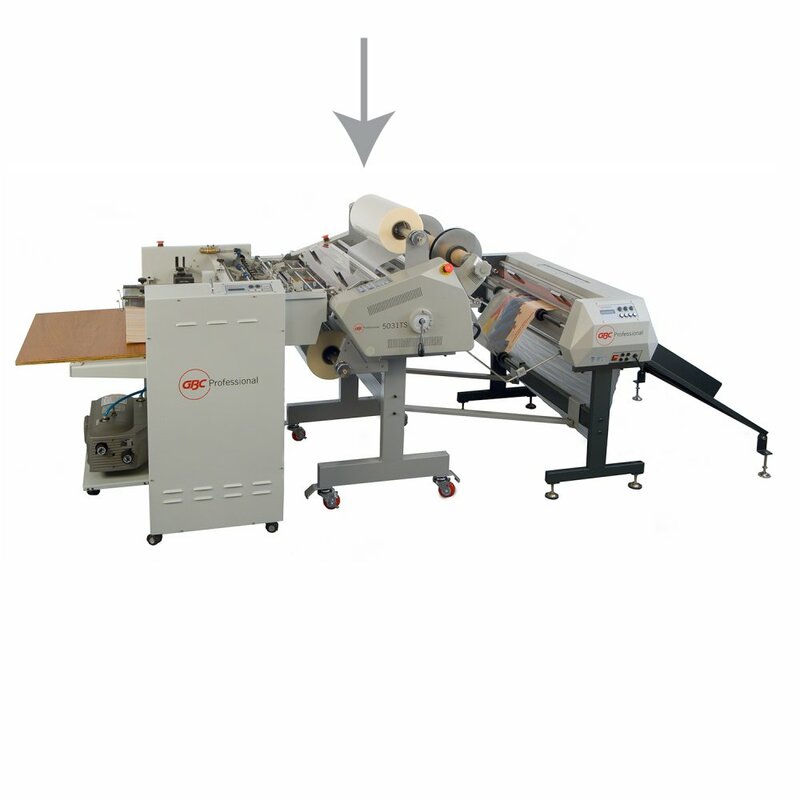 Designed for commercial printing or in-house production environments, the 5031TS is six times faster than office laminators and can handle paper stock ranging from 20 lb. bond to 24 pt. cover stock. For best results, use with GBC Nap-Lam® I, Nap-Lam II and Hi-Tac™ films.